If you have foundation water damage, we highly recommend that you take steps to protect your Dallas Fort Worth property. 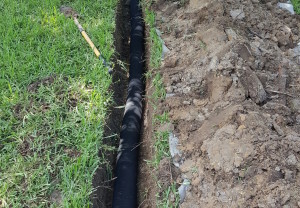 The best way to do that is by installing a yard drainage system. It’s quite common to discover foundation damage on concrete slabs or pier and beam houses due to flooding in the DFW area. That’s because the metroplex can get heavy rain. Even moderatey heavy rain and 2-3” of precipitation over a few days can become a problem. Whether you’re worried about relatively small amounts of moisture or the possibility of your house flooding, call us. We’ll evaluate your residential or commercial structure right away. It’s wise to install them on your Dallas, Fort Worth property because they direct surface and ground water away from low areas in your lawn. When foundations are exposed to excessive amounts of moisture, they erode and become uneven. What’s more, the harmful effects of water can cause cracks in slab foundations and actually push them upwards. Homeowners with pier and beam foundations will find that moist crawlspaces eventually develop wood rot and mildew. That’s why you’ll want to stop drainage problems as soon as possible. Whether you have 4-5” inches of standing water in your yard, or soggy soil around your house foundation, take action. Remember: It costs more to repair a foundation than it does to install a yard drainage system. By being proactive, you can save yourself money and trouble. To protect your structure from the damaging effects of water, contact a qualified expert. They should inspect your lawn as well as your structure. A professional can make recommendations regarding what type of drain you need to end harmful conditions. Because the DFW area receives an abundance of rainfall from time to time, it’s a good idea to be prepared. 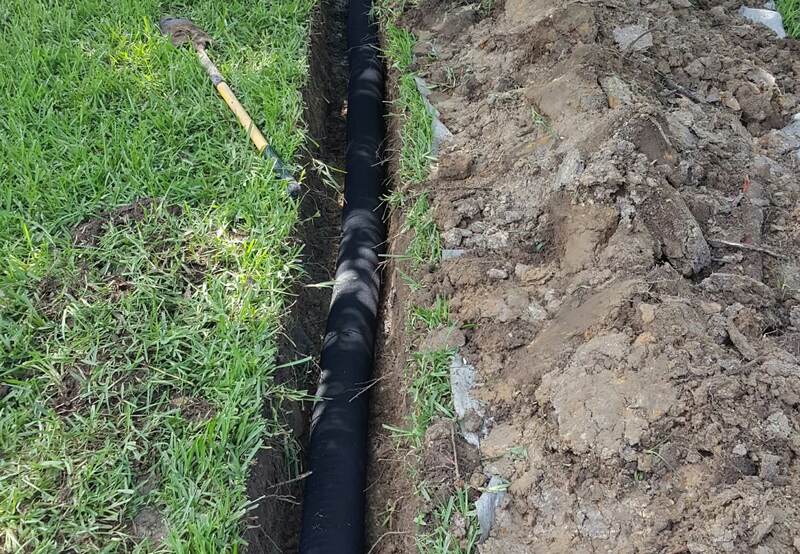 In some instances, a contractor will end drainage issues by installing a French drain. Surface drains are a better choice when you need to discharge large amounts of water from your yard fast. It’s possible to route the water 20’ away from your foundation or well more than 100’ away. What’s done all depends upon your particular situation. The only way to know exactly which approach to talk to a pro. They can perform an evaluation. If you do have foundation water damage and would benefit from the installation of a yard drain, they can tell you how much it will cost. At HD Foundations, we provide free drainage system evaluations and estimates. So if you’re concerned about moisture on your property, contact us online today.